Get the Funk Out! 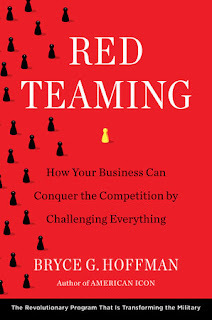 : Author Bryce Hoffman joins host Janeane Bernstein Monday 7/24 at 9:15am to talk about his latest book, "Red Teaming." Author Bryce Hoffman joins host Janeane Bernstein Monday 7/24 at 9:15am to talk about his latest book, "Red Teaming."